Deciding that you need to apply for a loan of any sort can come at a traumatic and hard time for anyone. And yet once you have decided to take that step you are confronted with a wall of buzz words and catch phrases that simply don’t mean anything to you. Follow this plain speaking guide below to understand for certain what type of loan you might require. 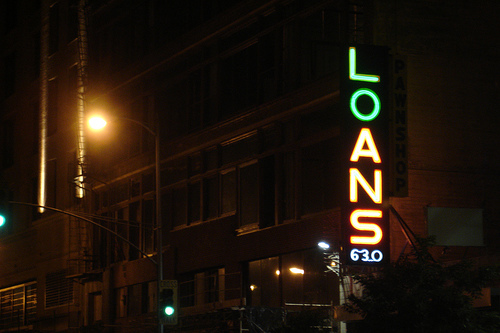 Loans fall into two categories here and are always one or the other. A secured loan is one that is secured against something that you already own. For example you might take out a loan that is secured on your car. This means that if you default on payments the loan company may seek to claim ownership of your vehicle instead to make up for the missed payments. An unsecured loan is one that is not tied to any assets, these tend to be short term and for smaller amounts than secured loans. Again loans are always one of these two categories, either short or long term. This are relatively self explanatory expressions with short term loans being repaid over a much shorter time frame and long term loans being held over a longer time. Short term loans tend to be for smaller amounts such as an overstretched month or small purchase. Long term loans tend to be larger and for one of purchases of a substantial nature, the most common of course being a mortgage which is a long term loan to buy a house. Traditionally those people with bad credit or low wages have not been able to take out loans. However, it is now possible for these (and others) to get a guarantor loan which is a loan that another person guarantees will get paid. In essence this means that if you default on the loan then they become liable for the repayment. A closed end loan is simply one that as you pay back the debt decreases but it gives you no available credit for re-borrowing. An open ended loan is one that as you pay back money you gain credit which allows you to re-borrow again and again up to the total you originally borrowed. This means that your debt can go both up and down. So now you’ve got the basics, hopefully you feel a bit more confident about finding out your next step. When most people think about owning a car, they usually think of it as a necessity, and not a luxury. I have seen many people rush into the decision to buy a car, thinking that they can’t live without one. Unfortunately, this can lead to plenty of car buying mistakes. 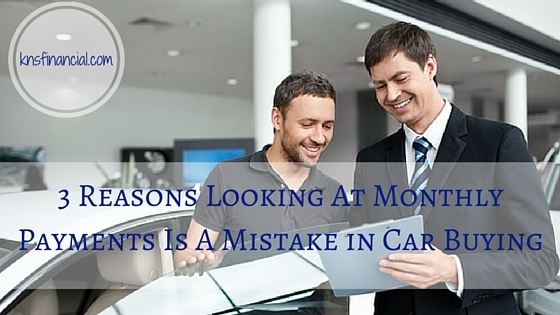 In my opinion, focusing on monthly payments is probably the biggest car buying mistake that one can make! Actually, whenever you are making a purchase based solely (or mainly) on the monthly payments, you are making a huge mistake. Unfortunately, many people in this country have become accustomed to “buying” items without actually having the cash to pay for it. This has lead to an entire industry of furniture/mattress salesmen, real estate agents, electronics vendors, and even car dealers who try to sell you their product based on estimated monthly payment. 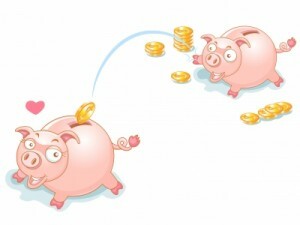 When you are only trying to target a particular monthly payment amount, the price is rarely discussed. Most of the time, the salesman will simply ask you how much you are willing/able to pay each month. I’ve had a number of car salesmen who virtually refused to discuss the total price, until I let them know how much I could “afford” per month. Of course, when I told them that I wanted to pay cash, they had to back off (or watch me leave)! If you are buying a product, and you do not focus on negotiating how much you pay this item, then it will be easy for a salesperson to take advantage of you! The salesman can arrange for you to pay a lower amount each month, simply by extending the length of your loan! If you take out a $20,000 car loan at 8% annual interest for 36 months, your monthly payment will be about $627. Extend your loan period to 48 months, and your monthly payment drops to $488. Your salesman can bring it down to $406 if they set you up to pay for 5 years! If all you can afford is $350, simply agree to pay off this loan for a full 6 years, and you can afford your dream car (actually, you’d still be about $0.66 short)! The same thing will happen if the dealer is able to workout a lower interest rate with their bank or financing arm. Using the above example, if your rate drops from 8% down to 5%, then your monthly payment will be about $599! What you will notice in both of these examples is that your purchase price never changed! All the salesman did was manipulate a few of the variables in your loan, and he was able to fit into your budget! This is why focusing on your monthly payment is one of the biggest car buying mistakes that you can make… The dealer can easily overcharge you for a car, and you’ll walk away ignorant and happy, because you like your payments! Anyone that has purchased a car from a dealer knows that there are other fees that can get tacked on to the purchase price. If you are only concerned with the salesman’s ability to get you a low monthly payment, then you may just gloss over these other fees, and pay for something that is unnecessary. Also, many dealers will try to get you to take on extra packages and services, which you don’t need. Again, if you are only focusing on your monthly payment, you won’t see those things. For instance, if you agree to buy a car for $20,000, and you are asked to pay $24,000, then you can ask for an itemized list of taxes, fees, and other expenses, which make up that additional $4,000! But if you agree to “buy” a car for $450/month, you won’t even notice that they are there. I remember a dealer adding a few thousand dollars to the purchase price of my current car. It was for services and/or packages that I declined, but he left it in the system. I was only able to tell because I was working with all of the numbers in my spreadsheet (not just a monthly payment)! It could have been an honest mistake, but either way, it would have cost me thousands of dollars for something that I didn’t want or need. Be sure to look at the whole picture when pricing a car! 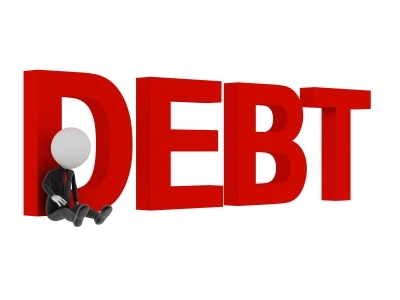 What are some of the ways that focusing on a monthly payment has lead to financial trouble for you? Have you ever noticed how car salesmen are so reluctant to talk about the overall price? How do you handle that? Has negotiating based on monthly payments ever worked out in your favor? Whenever I counsel anyone who talks about making a loan to or taking a loan from a friend or family member, I usually tell them that it’s a bad idea. It can very easily ruin your relationship with that person, even if they do pay you back. Making loans to friends or family can definitely cause a lot of stress; and there may even be some tension that unintentionally gets built into the relationship. This is especially true if the borrower has trouble making some of the payments or if they don’t seem to take their obligation seriously, because of the closeness of your relationship. Another thing that can happen is that the lender begins to scrutinize every purchase that the borrower makes. For instance, if you had to borrow some money from your brother, and then (while the loan is still outstanding) you ask him to help you set up your new flat-screen tv or expensive computer, he might begin to wonder why you didn’t use that money to pay him back completely! I’ve seen this happen even when the borrower is making all of the payments on time! The high-end electronics example may be a little extreme, but it can happen with buying an article of clothing or even just eating out. The point is, it’s hard to know that these feelings will creep up until you are actually in this situation. This, plus a number of other reasons, is why I try to avoid lending money to a friend or family member, even it proves to be the best loan available for them. Because of what he was dealing with, and also his financial trouble in the past, there was no way that he could qualify for a great personal loan from a bank. I recently wrote on my other website about our friend getting into some financial trouble because the deferred payments were due on his car loan. I also told you how he was able to get out of the mess. He had a plan to pay us back – He looked over his income and expenses for the next few weeks, and determined that he would be able to repay us within a month. I was impressed that he didn’t just make a unrealistic promise out of desperation. He has recently made financial sacrifices – He is selling a car that he loves and he also moved to another state in order to pay cheaper rent. He is trying to get his finances in order – I met with his girlfriend earlier this year in order to help her get her finances (and she has taken care of a lot of things so far), and he has asked me to sit down with him as well. He realizes that his situation is his own fault – The remorse that he is showing over his situation is not just based on not wanting to deal with adversity, but it comes from an understanding that his poor financial decisions are to blame. This is what is fueling his desire to make serious changes and become financial responsible! It was a real need – He needed the money in order to pay his rent (our loan covered a portion…he had the rest). To me, that’s important enough to at least consider going against my general advice. We had the money in our emergency fund – Since we have an emergency fund, we were able to give him the loan without reaching into our checking account, or wrecking our budget for the month. It won’t destroy us financially if he is unable to pay us back – Proverbs 19:17 tells us…”One who is gracious to a poor man lends to the Lord, and He will repay him for his good deed.” Even if he isn’t able to pay us back, we will not hold it against him (we would just need to communicate). We really wanted to bless him in this situation, and ultimately, our repayment will come from the Lord! We knew that it was the best loan for him – He may have been able to get a payday loan or find some other way of getting the money, but we didn’t want him to be forced to do something that would have made his situation worse. As you can see, even though I would normally counsel against extending a loan to a friend or family member, there are some cases where we will do so. However, a lot of things have to line up in order for that to happen. It took a lot of consideration and evaluation, but in the end, I think we made the right choice. Have you ever given a loan to someone close to you? If so, how did it turn out? Have you ever received a loan from a friend or family member? If so, did you feel a greater sense of obligation toward them (as compared to a bank) or less?